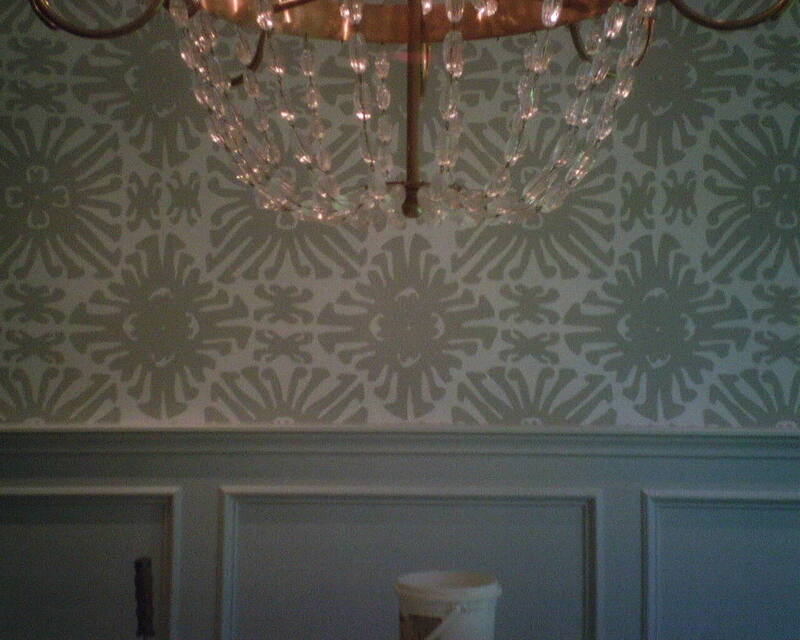 This “Sigourney” design by Quadrille is a well-loved wallpaper pattern. It comes in a large and a smaller scale. 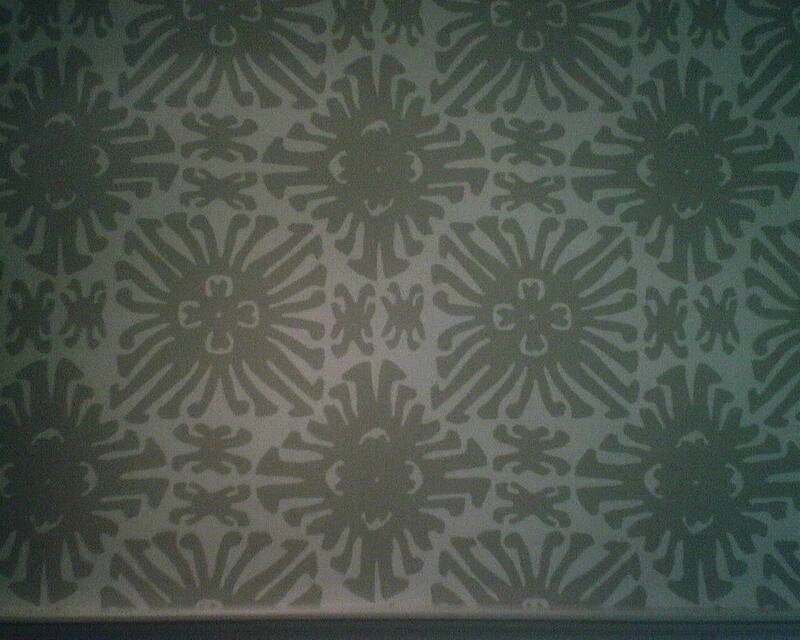 Today I hung the larger pattern. This went in the large and sunny breakfast area of a new home in Oak Forest (Houston). 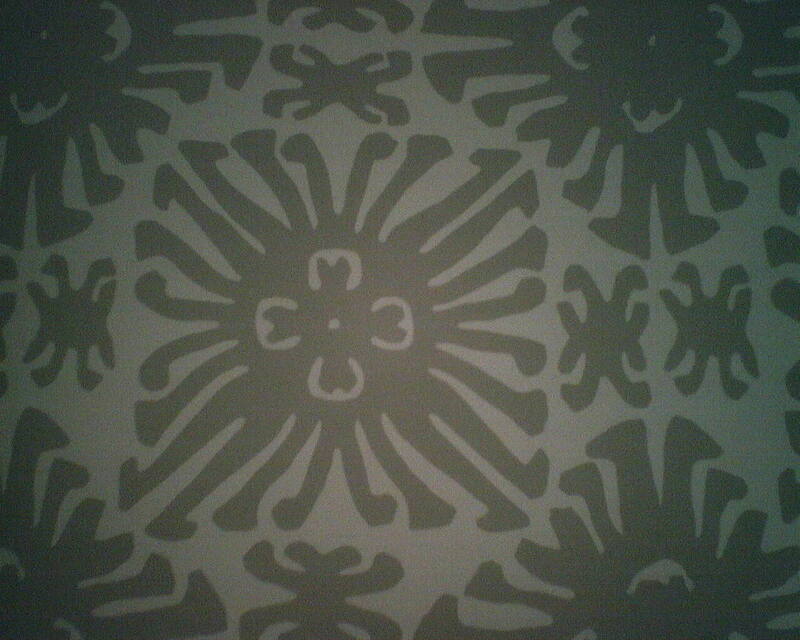 The wallpaper had a selvedge edge that had to be trimmed off by hand, before the paper could go up. The heavy inks smell like mothballs, and fight against the paper backing, causing the paper to “waffle” (pucker) and the edges of the paper to curl. My table-trimmed seams curled and didn’t want to lie down against the wall, so I ended up double-cutting (splicing) all the seams. 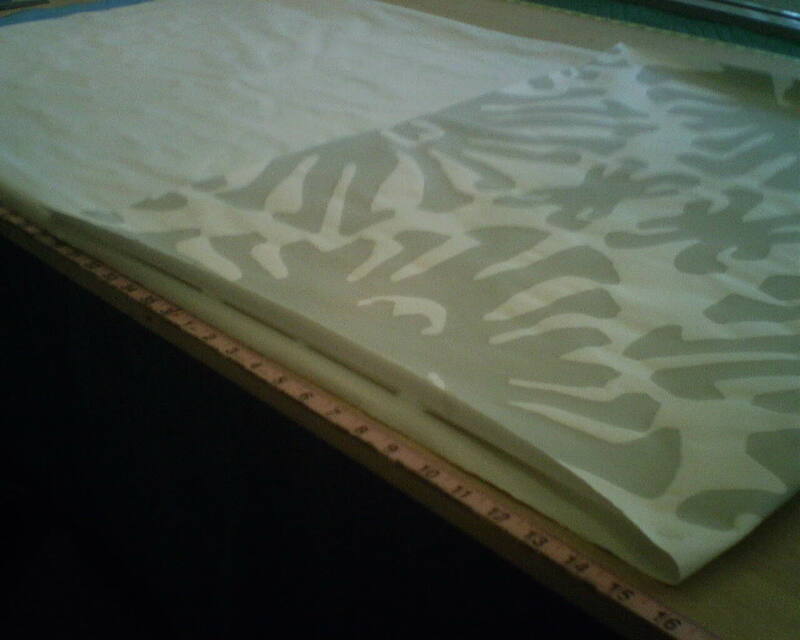 Double-cutting involves a lot more steps and materials than simply butting factory-trimmed seams. So this job took a lot more time and sweat than expected, but turned out looking fabulous.